When Madison was in kindergarten, I was chatting with a group of parents, and realized that I actually was depriving my children of something they'd be getting in public school - computer time. Adam and I both have laptops, and the girls have iPads to use (and plenty of apps that we love), but Madison had no idea how to work anything that wasn't a touch screen. Although the majority of our curriculum is offline, this didn't seem right, and I started adding "computer time" into our homeschool schedule. We went to the library, and one of the first programs I got Madison started on was Reading Eggs. Now, two years later, I have another kindergarten girl, and Reagan loves the fun online learning games and activities in Reading Eggs, and Madison is getting some great reinforcement in her reading as well. Although we'd had a subscription when Madison was in kindergarten, I had let it lapse last year. When we started again a few weeks ago, I wanted to see where Madison was. Placement tests are such a huge thing for me with these online programs. Nothing frustrates me (or my kids) more than a program that passes through a year or more of reading development, but insists that everyone begin at level one. Yes, reinforcement is great, but my second grader will only get a kick out of whipping through a few activities before it's boring or babyish or any number or whining excuses. Sometimes the parent can place the student, and we've done that too, but then we'll run into a situation where there are holes (because we didn't start at the beginning), and that's not great either. 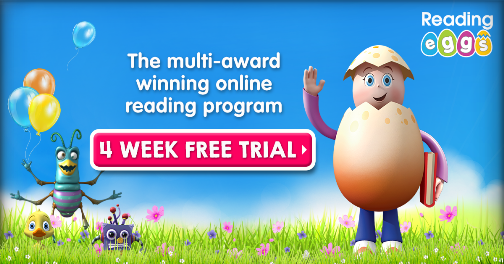 Reading Eggs allows you to either start at the very beginning, or to take a placement test. Since Madison is a comfortably reading second grader, and Reagan does know her letter sounds, I put both girls through the tests. That's how we found the perfect lesson for Reagan to start with, and how we realized that Madison was a better fit for Reading Eggspress, working on comprehension and other skills beyond basic decoding (although I did have her do the last few lessons of Reading Eggs for some spelling reinforcement). 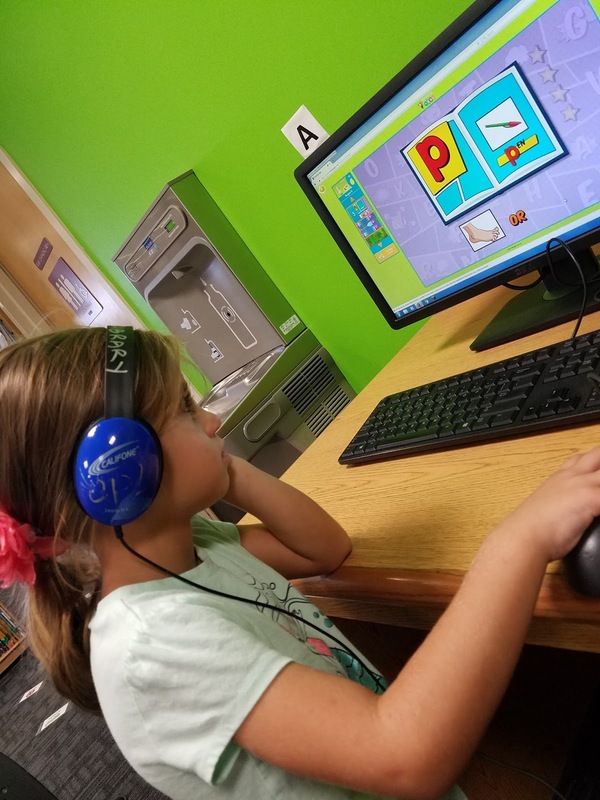 Although you can start as young as preschool for Reading Eggs Jr, and keep using Reading Eggspress throughout the elementary grades, Reading Eggs in the meat of the program, and that's where Reagan is a perfect fit. She's at that awesome stage where you can watch that code being cracked, and a whole world opening up, and it's so cool to watch. Of course, we've been doing a lot, and since I didn't want to stop our current program, we added this as a supplement and I wondered if it would be too much. But instead, it's been great. Reagan loves incentives. If completing lessons earns her coins, or stars, or anything else that she can watch add up in her account, she will work through a program as much as I'll allow. In this program, she's been collecting eggs. After each lesson, she turned to me and crowed about how many eggs she'd received, and what her running total was currently sitting at. In the past few years, there have been some great changes that are perfect for our family. Now, on the parent dashboard, there is a drop down menu called “Bonus Material.” On that menu is an option for “activity sheets.” Those are worksheets that correlate directly with each level of the entire program. 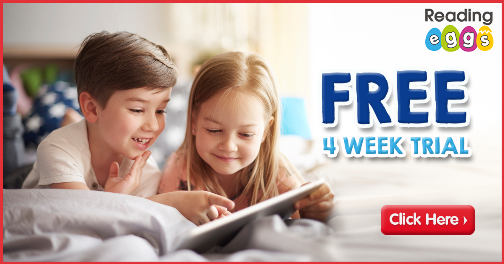 There’s also a homeschool drop down option that breaks this into an entire scope-and-sequence for how to use this program as a full curriculum for kindergarten through second grade.What's great is that there is a four week trial, which gives you a good amount of time to see how well this will work for your family. And beyond the reading, Reading Eggs also has a section called Math Seeds, for math reinforcement. I will never say no to more math practice, and, again, after getting the girls placed correctly, I let them have at it! If you're interested to see how other homeschoolers have been using this program with their kids from preschool through the elementary years, check out the other reviewers! The four week trial ends November 30, 2017, so if you're on the fence, now is the time to give it a try!